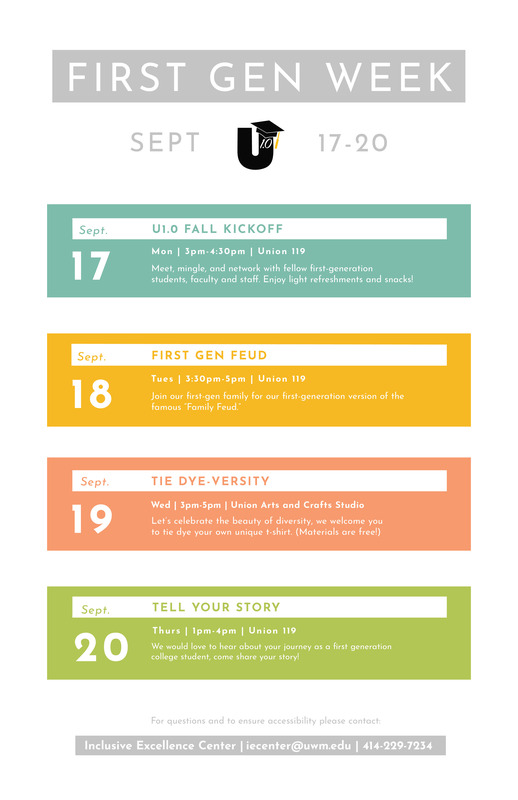 All of this year’s events for First-Generation Week have passed and future events will be taking place fall 2018. 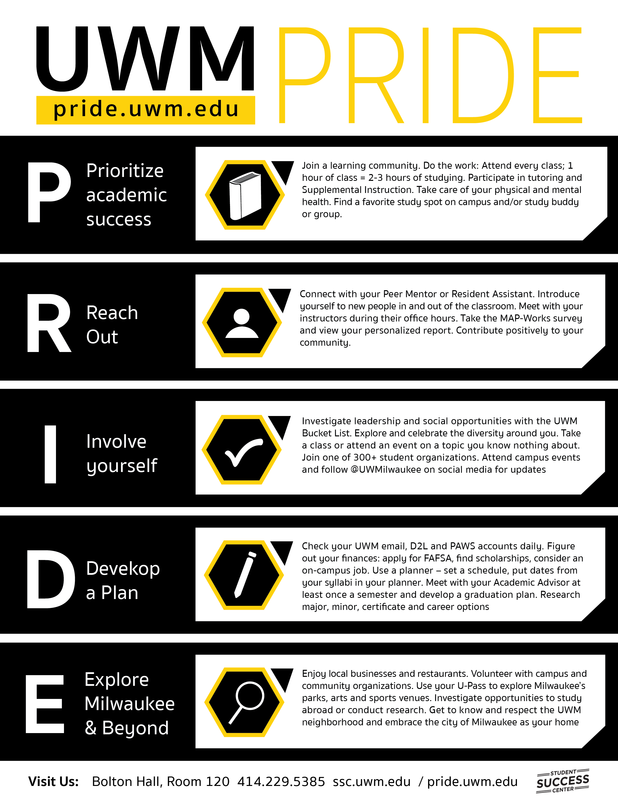 If you have any questions or concerns about U1.0 events, please contact Olivia Clifton at oclifton@uwm.edu or the IEC at (414) 229-7234. Thank you!